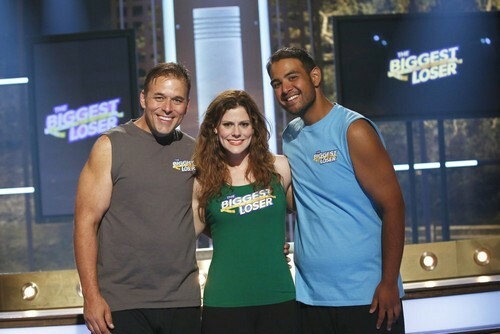 THE BIGGEST LOSER returns to NBC tonight with a new episode and it is the season 15 finale. On tonight’s show the “biggest loser” will be revealed in the exciting season finale. Did you watch the last week’s penultimate episode? We did and we have a full and detailed recap, right here for you. On last episode the stakes were higher than ever when the five final players competed in a “Biggest Loser” first — a sprint triathlon, requiring them to swim ½ a mile, bike 12 miles and run three miles. The triathlon winner secured a coveted spot as a finalist, as well as a brand new Ford Fusion. Then it was an emotional trip down memory lane as the contestants watched footage of their journeys with their trainers, and saw firsthand how far they came since arriving on the ranch. Later, it was time for the last weigh-in before the finale, where two players fell below the red line and went home, and two more became finalists, joining the triathlon winner to compete for $250,000 and the title of “The Biggest Loser” at the season 15 finale. On tonight’s episode in this must-see, exciting live finale, the 15 contestants from this season return for a special reunion and a chance to weigh in one last time – and show America how much weight they’ve all lost since beginning their weight-loss journeys. Those who have been eliminated will compete for the $100,000 “at home” prize. Then it’s the moment viewers have been waiting for, when one of the three finalists will be named this season’s “Biggest Loser” and win the coveted grand prize of $250,000. The Biggest Loser season 15 finale airs at 8PM on NBC and we will be live blogging it with all the up-to-the-minute details. So make sure to come back to this spot and spend the evening with us! Make sure to refresh often to get the most current details and updates! RECAP: The Biggest Loser finale begins, with past contestants talking about what they’ve done with their second chances in life, and the opportunities that have come with it. They show off a video of the current season of Biggest Loser contestant’s journey during their time on the Biggest Loser ranch, showing how hard they worked in order to lose weight and get to where they are today. You can see the determination and motivation coming from them throughout the video, showing them from when they started their journey to take advantage of this second chance that they’ve been given. The trainers are introduced; Bob, Jillian and Dolvette walk on the stage. Allie asks them how they felt seeing how the past contestants look; Bob says that he’s proud because they’re like their children. Allie asks about the saves they got, Jillian talks about how they each planned to save it for important time, but they ended up saving people sooner than expected. The judges go have a seat; the 12 contestants who were sent home are now competing. Jennifer appears first having lost a ton of weight, Fernanda is introduced after and she’s looking very beautiful. Hap appears looking like he’s lost a lot of weight. Allie says to Jennifer how she really liked the moment where Jennifer talked to Bingo’s mom, Jennifer said that it motivated her to work harder because Bingo’s mom said she can do it. Jennifer plugs in how she’s very proud of her family because they’ve started losing weight also, and following Jennifer’s healthy lifestyle. Allie asks how Haps doing with being a father, Hap says it’s amazing having a son now after having already a couple of daughters. They need to go in the back to change into their weigh in clothes. The Biggest Loser scale is brought out, to weigh in the 12 contestants who went home and are now competing for a $100,000. The person with the highest percentage of weight loss will win the prize; Jennifer, Fernanda and Hap are the first three to weigh in. Allie talks about how much Jennifer went through during the show, a video is shown of Jennifer conquering her fear of the box jump. At the beginning she was 266 pounds she is currently at 162 pounds, she lost a 104 pounds with a total percentage of 39.1%. Fernanda is up; before she joined the competition she admitted something personal about not being able to show her naked to her husband. They show a video of Fernanda working extremely hard during her time at the Biggest Loser camp. At the beginning she was 250 pounds, she is now currently at 163 pounds with a total percentage of 34.8%. Now Hap is up on the scale, they show a video of what motivated Hap to work hard at the Biggest Loser ranch. The video shows that what motivated him was his family, it made him work hard and not waste time with the opportunity he was given. In the beginning Hap was 403 pounds, now he’s currently at 322 pounds, with a percentage of 20.1%. Matt is introduced; he walks out looking a whole lot slimmer, Chelsea is introduced next looking amazingly beautiful, Holly is then introduced looking a lot better. Allie asks the three of them how they’re doing. Holly gets a huge cheer from the crowd, she’s a fan favorite. Allie asks how Holly feels now about weight lifting and being smaller now, she’s glad Bob made her realize its fine to be small and lift weights. Jennifer is in the lead for the prize of a $100,000. A video is shown of Matt, showing how he postponed his wedding in order to go to the Biggest Loser ranch, he wanted to make the best version of himself as possible before marrying the love of his life. In the beginning he was 356 pounds, now he is currently at 223 pounds losing 133 pounds he was so close to beat Jennifer he has a 37.33% of weight loss. Chelsea is up next, they show a video of her and how she ended up eating due to depression, but she used her second chance to pursue a positive and happier life. In the beginning she was 241 pounds, she is currently at 146 pounds losing 95 pounds, she has a percentage of 39.79% beating Jennifer. Holly is up on the scale now; they show a video of Holly talking about her fears of losing weight and becoming smaller could make her weaker. Allie talks about the connection Holly and Bob had, Bob says that Holly was a peer and a friend. Holly says that Bob has changed her career along; she says that she’d like to have him to come to Rio if she makes it to the 2016 Olympics. In the beginning Holly was 351 pounds, she’s currently at 255 pounds losing 96 pounds with a percentage of 27.3. Tanya is introduced; she appears looking pretty and healthy. Craig is introduced, he looks so much different compared to before, very slim. Marie is introduced; she’s now looking very good and rocking the short hair perfectly. Tanya is up to weigh in, before weighing in they show a video of Tanya talking about her horrible relationship with her mother and how no one save her, but one person ended up helping her and that was Dolvette who used his trainer save to keep her in the competition. In the beginning she was 262 pounds she is currently at 175 pounds, losing 87 pound with 33.21% of fat lost. Craig is up now; they show a video of his hardships he talked about at the Biggest Loser ranch and how Jillian saved him with her trainer save. In the beginning Craig was 385 pounds, he is now currently at 223 pounds losing 162 pounds with a 43.08% make him the current leader for the $100,000 prize. Marie is up on the scale next, showing her at makeover week being afraid of having short hair, due to being teased about it when she was younger and how it was something she could always control. In the beginning she was 249 pounds she is now currently at 138 pounds losing 111 pounds, with a 44.58% of weight loss making her now in the lead for $100,000. Ruben is introduced, he appears looking slimmer compared from the beginning, and Tumi shows up looking fantastic. Jay is introduced and comes out looking extremely good, thinner than ever. Allie asks how Ruben is feeling with this new body of his; he says it’s given him more confidence. Tumi talks about her love for running now and how she wants to try a marathon soon. Jay says that he owes Jillian his life, because she’s given him a new life he currently loves. Ruben is up on the scale now, before it though they show a video of how Ruben wants to become Ruben not “Big Rube”, how he wanted to take time to exercise and become healthier to gain a new confidence in him. In the beginning he was 462 pounds, he is now currently at 343 pounds losing 119 pounds making 25.65%. They show Tumi and how she ran up the stairs during her first time with the trainers, instead of 20 flights of stairs, she did 32. 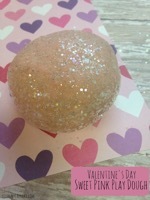 Jillian talks about how she exceeded her expectations. In the beginning she was 319 pounds, she is now currently at 144 pounds losing 175 pounds with a 54.86%. Tumi is now in the lead for a $100,000. Jay is up on the scale now, they show a video of what Jay and the difficulties he had during his life and before the competition. In the beginning Jay was 297 pounds, he is now currently at 183 pounds, losing 114 pounds. Tumi ends up winning the $100,000 and she deserves it with all that hard work. Bobby is introduced; before he gets on the stage they show a video of Bobby’s hard work throughout the competition. After the video Bobby, walks out onto the stage looking extremely different, he’s so thing now and is unrecognizable. Allie asks if Bobby has been thinking of the other contestants, he says he has because of David’s hard work and Rachelle almost made him straight. They show a video of David and what motivated him to stay in this competition, what made him push through to work hard become someone new to keep his promise to his previous wife and family. David walks out onto the stage, looking extremely un recognizable also; he’s so slim compared to the beginning of the Biggest Loser and looks so different. David talks about how a year ago he was obese and watching the Biggest Loser, looks at him now. Rachel is introduced, they show a video of Rachel talking about how she’s sick of hiding from people because of her past obesity, it then shows the hard work she put during the entire competition never giving up and being an athlete who never wants to lose or give up. Rachel comes onto the stage looking beautifully stunning and amazing. Ruben gets on stage to sing his new song Meant To Be, singing with the voice of an angel. Rachel, Bobby and David will be getting on the stage, Allie talks about how Jillian, Bob and Dolvette are going in the audience to find people who’ve learned to lose weight and become healthier. Jillian found a woman who lost a lot of weight and became a personal trainer, Bob found a man who tried to audition for the show, but didn’t make it in the end, but that didn’t stop he lost 125 pounds after it. Dolvette finds a women who first battled breast cancer, then decided to become healthier with losing weight and eating right. Ruben gets on stage to sing his new song Meant To Be, singing with the voice of an angel. Rachel, Bobby and David will be getting on the stage, Allie talks about how Jillian, Bob and Dolvette are going in the audience to find people who’ve learned to lose weight and become healthier. Jillian found a woman who lost a lot of weight and became a personal trainer, Bob found a man who tried to audition for the show, but didn’t make it in the end, but that didn’t stop he lost 125 pounds after it. Dolvette finds a women who first battled breast cancer, then decided to become healthier with losing weight and eating right. They introduce last season’s kid ambassadors of The Biggest Loser, Allie thanks them for being here tonight. Bobby is going to be going up on the scale first, from 358 pounds he is now currently at 170 pounds losing 188 pounds with a 53.51%. Rachel is up on the scale next, from 260 pounds she is now currently at 105 pounds losing 155 pounds a 59.62%. David is now up to get on that scale, from 409 pounds he is now currently at 187 pounds losing 222 pounds. Rachel ends up becoming the Biggest Loser.